This document explains the criteria and requirements that are expected of all continuing education providers whether or Category 1 or 2. ACVREP™ Registered Provider of Professional Learning and Education (RPPLE©). The ACVREP RPPLE© program is designed to encourage the development, implementation, evaluation and recognition of high-quality Continuing Education (CE) programs that meet the needs of professionals in the field of vision rehabilitation and education. It is consistent with the mission and purposes of ACVREP and recognizes the critical role CE plays in enhancing the quality of services provided to individuals who visually impaired. The ACVREP RPPLE© program benefits both CE providers and professionals in the field by promoting greater flexibility and saving organizations valuable time and energy that is better applied to the continual improvement of CE programs. Organizations that become ACVREP RPPLE© providers make a strong statement about their commitment to vision rehabilitation and education professionals and the need to provide meaningful professional development that enhances the quality of services to consumers. The purpose of the ACVREP RPPLE© program is twofold: 1) to enhance the availability of quality CE activities to vision rehabilitation and education professionals; and 2) to promote and support the integrity of CE activities available to ACVREP certified professionals. The intent of the ACVREP RPPLE© application process is to better understand the provider organization's overall CE program from an organizational perspective, including relevant policies, procedures, and reporting mechanisms in order to approve the organization to designate ACVREP contact hours for the activities/events they offer to ACVREP certified professionals for the purposes of recertification. Organizations seeking to become ACVREP RPPLE© providers must complete and submit the ACVREP Registered Provider of Professional Learning and Education (RPPLE©) Application. ACVREP does not allow the joint application for ACVREP RPPLE© provider status. In other words, two distinct organizations may not enter into agreement to form one entity for the purposes of being recognized as a single ACVREP RPPLE© provider. Large, complex organizations with continuing education activities conducted by various departments, units, divisions, programs, or chapters within the organization may apply for ACVREP RPPLE© provider status as a whole provided that all activities are developed, administered, and supervised by a single individual or entity within the organization. 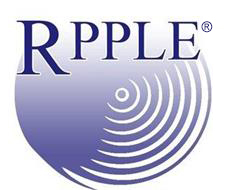 If the responsibility for development, administration, record keeping, and supervision of continuing education activities falls under different departments, units, divisions, programs, or chapters within the organization, then each department, unit or division must apply for RPPLE© status individually. The provider organization's mission, values, and/or purposes support a commitment to providing high-quality CE programming. Organization's mission statement, stated organizational values, and/or statement of established organizational purposes related to the provision of CE. The provider organization demonstrates an established history as a provider of quality continuing education programming. Evidence (i.e. agendas, brochures, course syllabi, etc.) that demonstrates that the provider organization has developed and implemented a minimum of three (3) CE activities within the last 12 months. Evidence (e.g. participant evaluations, summative report of data collected from the participant evaluation process, etc.) that demonstrates participant satisfaction with program quality for a minimum of three (3) CE activity implemented by the provider organization within the last 12 months. If participant satisfaction has not been tracked in the past, a signed agreement to track this in the future. The provider organization has or is able to designate an entity or position within the organizational structure whose role is to administer and supervise CE programming. An organizational chart or job description/department description that clearly designates responsibility for the administration and for supervision of CE programming and name of the person currently in that position who will be the provider organization's ACVREP RPPLE© Administrator. This individual will be responsible for the administration and supervision of the provider organization's RPPLE©-related CE programming. The provider organization has or is able to implement a formal review process to assess compliance with ACVREP RPPLE© program requirements on a regular and continuous basis. Provides the individual or position identified as the designated ACVREP RPPLE© Administrator the authority and responsibility to review, assess, and report to ACVREP compliance with all RPPLE© program requirements. Explains the organizational compliance review process including how and when reviews of compliance with RPPLE© program requirements will be conducted. The provider organization maintains or is able to implement a system for maintaining a complete and accurate learner record that documents an individual learner's program attendance and the contact hours earned by the individual learner for each program attended by the learner. In addition, the provider organization is able to provide a copy of learner records upon request from ACVREP. How the provider organization maintains records of all ACVREP contact hours earned by learners. How the provider organization safeguards the retention and release of records to ensure the privacy and security of learner information. How an individual learner requests and obtains information pertaining to his or her learner record from the provider organization. Number of ACVREP contact hours earned. The provider organization monitors learner participation and attendance in order to appropriately award ACVREP contact hours. Description of organizational policy and/or procedure(s) that documents the provider organization's process to monitor and verify learner attendance. Please Note: If separate organizational policies/procedures exist for attendance in on-site (or "live") and online modes of instruction, please provide all applicable policies/procedures.All records of a learners participation and attendance must be maintained by the organization for five (5) years. The provider organization ensures that the content of CE activities is relevant to the field of vision rehabilitation and education and meets the needs of professionals in those fields. How learners' needs related to CE content are identified by the provider organization. How experience levels (beginner/intermediate/advanced) are designated and related to course content. The provider organization utilizes qualified personnel in the planning and implementation of CE activities. The organizational planning process for CE activities, including any required qualifications, responsibilities and duties of planning committee members (or those planning the activity if not a formal planning committee) relative to the design, development, implementation, and evaluation of planned CE activities. How the organizational planning process identifies the appropriate instructional method with stated learning objectives, medium of instructional delivery (e.g. workshops, on-line courses, etc.) and the method in which participants/learners will be assessed (if applicable) for any planned CE activity. The requirements of CE activity presenters/ instructors including any required qualifications, responsibilities and duties in relation to the development of learning objectives, assessment tools (if applicable) and the verification of learner participation or satisfactory completion of the activity (if applicable). The provider organization ensures disclosure of the provider's and/or any presenter's/instructor's proprietary interest in or affiliation with any product, service, or material presented and/or discussed during a planned CE activity prior to the implementation of the CE activity. This disclosure includes the source of any form of compensation related to the presentation (if applicable). Acknowledges the learner's right to know of any commercial interest the provider organization or a presenter or instructor may have in a product, service, or material presented and/or discussed during the a planned CE activity. Explains how the provider organization informs participants and learners of said commercial interests prior to the implementation of the CE activity. The provider organization ensures that it either owns or has appropriate permission to use all materials presented during a planned CE activity. By submitting the Application the organization attests to its commitment to uphold Copyright, Intellectual Property Rights and Release of Information policies as they apply to RPPLE© CE activities. The provider organization develops clear, concise and measurable learning objectives based on identified needs and intended outcomes for each planned CE activity. Examples of learning objectives developed for three (3) CE activity planned and implemented within the last 12 months by the provider organization. The provider organization uses learning facilities (i.e. event venues) and resources that are accessible to all participants/learners and appropriate for the design and intended learning objectives of each CE activity. By submitting the Application the organization attests to compliance with Universal Accessibility Guidelines in its choice of CE activity venues, and accessibility of instructional resources for learners. The provider organization evaluates each planned and implemented CE activity and provides performance information to the presenter(s)/instructor(s) of each CE activity to promote and support CE activity and overall program improvement. How the organization implements/will implement learner evaluations to assess the perceived value and satisfaction of participants/learners with CE activities, and which tracks ACVREP-required information. How the provider organization communicates/will communicate performance information gathered in participant/learner evaluations to presenters/instructors. ?Attach a sample of the form used to distribute performance information to presenter/instructors (if applicable). When registering a CE program, ACVREP RPPLE© providers are required to assign the total number of contact hours provided with the CE activity using the following guidelines. A contact hour is a standard measurement for learner participation in a CE activity. One contact hour is awarded for each hour of learner participation in an organized CE activity, excluding breaks, meals, poster sessions, business meetings, and social hours. The ACVREP RPPLE© provider is required to assign the total number of contact hours provided with a specific CE activity, but may only award an individual participant the actual number of contact hours in which the participant was engaged in that CE activity. Participant engagement must be validated through the provider's participant attendance tracking procedures and documentation. In order to assign ACVREP contact hours for a registered CE activity, ACVREP RPPLE© providers must ensure that the content of each activity applies to at least one (1) content category within the ACVREP Content Classification Codes for Continuing Education (CE) Programs. Communication, Team-Building, Consumerism, Cultural Diversity, and Working with Families. Prior to hitting the "SUBMIT" button for the online application you will be asked to check a box to attest to the following. This is a very important part of ensuring that you acknowledge and understand the terms of the RPPLE© program and agree to accept responsibility and accountability during the three year period of application approval for compliance with all program requirements. "I hereby certify that I have read, understand, and agree to abide by the requirements as stated within this document. Furthermore, I certify that I have completed the application and attached the required documentation. ?I understand that this document will not be processed until all required materials including the appropriate processing fee have been received by ACVREP. I understand that ACVREP reserves the right to monitor programs/activities for which it has granted continuing education approval and to withdraw such approval from any program/activity that is offered or presented in any manner that is inconsistent with the approval requirements. The organization will provide each ACVREP certificant with documentation of attendance, and to keep participant/learner records on file for a seven-year period. I understand that all registered CE programs must be held in an accessible, barrier-free location and that all instructional resources should made in an accessible format given individual participant/learner needs and requests. I have read the Codes of Ethics for each of the ACVREP certification programs (CLVT©, COMS©, and CVRT©) and certify that the CE program/activity that is offered by this organization does not advocate any practice that would be in violation of the Codes, nor of any standard of professional behavior for ACVREP certificants. Establish attendance guidelines and completion requirements prior to the implementation of any ACVREP RPPLE© CE activity prior to the implementation of the CE activity and will monitor activity completion and award of ACVREP contact hours. Award one (1) ACVREP contact hour for each hour of learner participation in an organized CE activity that meets the standards described in the RPPLE© Standards and Requirements. In calculating this number we will exclude session breaks, meals, poster sessions, business meetings, and social hours. Inform learners of requirements prior to their participation in the registered CE activity and that only those who meet the stated requirements will be awarded ACVREP contact hours. Only award an individual participant/learner the actual number of contact hours in which the participant was engaged in the CE activity, and that we will validate learner engagement through accepted attendance tracking procedures and documentation (i.e. sign in/out sheet). Clearly state software requirements necessary for participation in online CE activities and to beta test any self-directed, on-line learning modules in order to base the number of ACVREP Contact hours awarded for each module on the average number of hours needed to complete the learning module and related assessment yielded during the beta-testing process. Ensure that the content of planned and registered CE activities to which we assign ACVREP contact hours will address at least one (1) of the ACVREP Content Classification Codes for Continuing Education (CE) Programs. Comply with Universal Accessibility Guidelines in our choice of CE activity venues and accessible resources/materials for all participants/learners. Track participant/learner satisfaction with CE course offerings by implementing ACVREP guidelines for evaluation (quantitative summary evaluation) for all ACVREP RPPLE© course offerings. Uphold Copyright, Intellectual Property Rights and Release of Information policies as they apply to ACVREP RPPLE© CE activities, learners and presenters. I understand the ACVREP will treat the information submitted for the organization's application to become an ACVREP RPPLE© provider as confidential. The ACVREP Board of Directors approves RPPLE© Category 1 and 2 providers. RPPLE© applicants that are not approved will receive written notice of such decision and the reason (s) for the decline. A process of appeal based upon the submitted application is available to any RPPLE© applicant that believes application requirements have been inaccurately, inconsistently, or unfairly applied during the review process. The appeal is initiated through the submission of a document(s) to the ACVREP President outlining the mitigations to the reason (s) for decline and or changes in the organizations policies and procedures that address any deficiencies noted in the reason(s) for decline. Disciplinary procedures are established to provide a fair and impartial determination regarding alleged misconduct by those organizations that are ACVREP approved providers of continuing education. ACVREP expects that complainants and approved providers will attempt to resolve issues between prior to requesting that ACVREP commence a disciplinary procedure. Misconduct by an ACVREP RPPLE© provider, including the following acts or omissions, constitutes grounds for discipline. Upon receipt of a written complaint, the President shall forward to the complainant a request that the complainant identify the specific requirement(s) alleged to have been violated by the RPPLE© provider, and provide to ACVREP evidence supporting each allegation by certified mail. The President shall forward the complainant's written complaint and accompanying evidence to the Board of Directors for review. The Board shall determine whether there is probable cause that a requirement violation has occurred. Should the Board determine that there is no probable cause to believe that a requirement(s) has been violated, the complainant shall be so informed and the matter shall be closed. Upon determination by the Board that there is probable cause to believe a requirement(s) has been violated, the President shall provide written notification to the RPPLE© provider of the nature of the compliant and provide an opportunity for the RPPLE© provider to respond to the compliant within 30 calendar days from the date the written notification was issued. The President shall inform both the complainant and the RPPLE© provider of the Board's decision and any disciplinary actions taken. The Board may impose any of the forms of discipline set forth below. All disciplinary actions, with the exception of private written censure, shall be publicly disseminated. Suspension of ACVREP approved continuing education provider status not to exceed one (1) year. Reinstatement of suspended certification shall occur at the end of the period of suspension, upon the terms and conditions provided by the ACVREP Board of Directors.